The spirit world may be invisible to human eyes, but the Garou know that it's even more important than the physical realm. The Umbra contains the sum of all existence, whether the stark horror of the Abyss or the fleeting hope of the Summer Country. Dare to explore the reaches of the spirit world alongside the werewolves. Step into the Umbra. At long last, the ultimate guide to the spirit world has been updated, expanded and revised for the new edition of Werewolf. 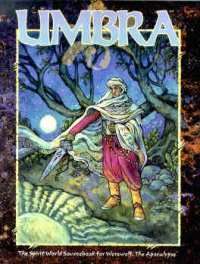 Umbra Revised covers every aspect of the spirit world in detail, from the wondrous and horrifying Realms to the mysteries of the Penumbra and Dark Umbra. The Umbra is the heart and soul of a Werewolf game, and this is the ultimate guide to it. No chronicle should go without.